Those words haven’t echoed at the Amazon Room's ESPN Main Event Final Table Stage since Joe Hachem took down the World Series of Poker Main Event back in 2005. On the final table of the 2018 WSOP Main Event, they may be heard against as Alex Lynskey has become the first Australian to make it to the final nine since Hachem. 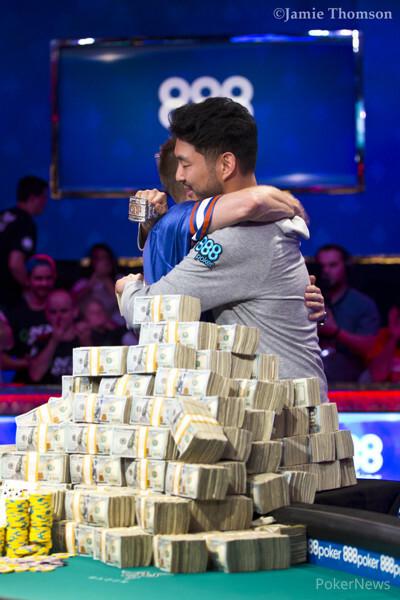 Prior to his deep run, Lynskey had $1,769,666 in live tournament earnings, including a prior best of $426,663 for finishing second to Joseph Rojas in the 2017 WSOP Event #23: $2,620 Marathon. Other highlights on his poker resumé include a fourth place in the 2016 Aussie Millions for $311,530, winning the 2016 Australasian Poker Challenge Sydney for $165,308, and placing sixth in the 2015 World Poker Tour Choctaw for $135,504. Lynskey had quite the rail cheering him on including girlfriend and fellow poker player Angelina Rich. In 2015, Lynskey and Rich rented an RV and traveled across the United States, which is when he final tabled the aforementioned WPT event. Early on Day 7, Lynskey dispatched Eric Frohlich in a cooler hand. Lynskey four-bet with kings and Froelich, who had queens, five-bet all in. Lynskey called and held as the board ran out nine high. In another hand, which was blind on blind, Michael Dyer limped the small blind, and Lynskey checked his option. 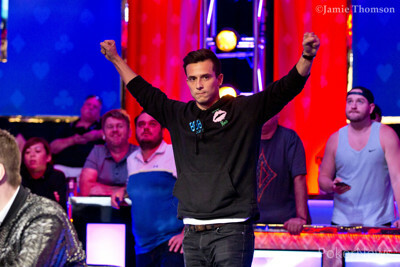 Lynskey called a bet on the ten-high flop and then another when a king appeared on the turn. Dyer fired a third barrel on the jack river, and Lynskey called with ten-eight for a pair of tens. It was good as he’d picked off Dyer’s bluff with four-three. Lynskey is one of the more experienced players remaining as he has some final tables under his belt. He’s got the short stacks to his right and bigger stacks to his left, so his position isn’t the greatest. However, with a 43-big-blind stack expect him to play patient and pick his spots carefully.